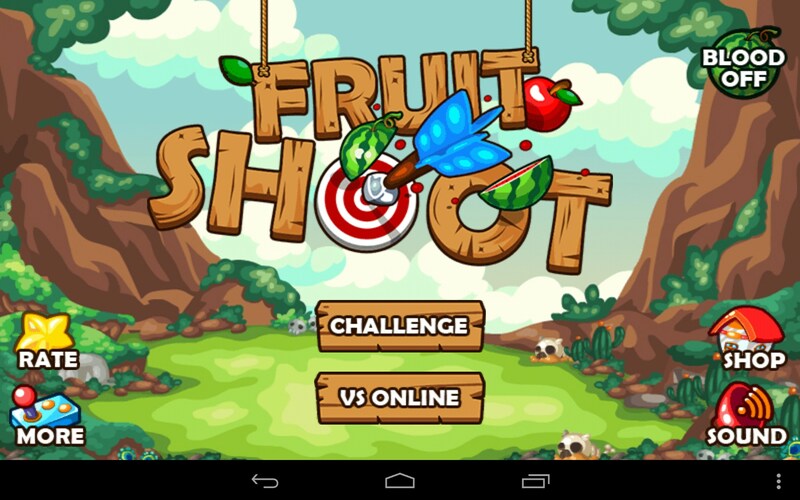 Fruit Shoot – Games for Android 2018 – Free download. 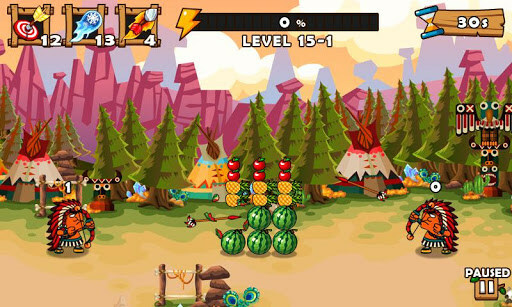 Fruit Shoot – Shoot fruit off a bear's head with your arrows. 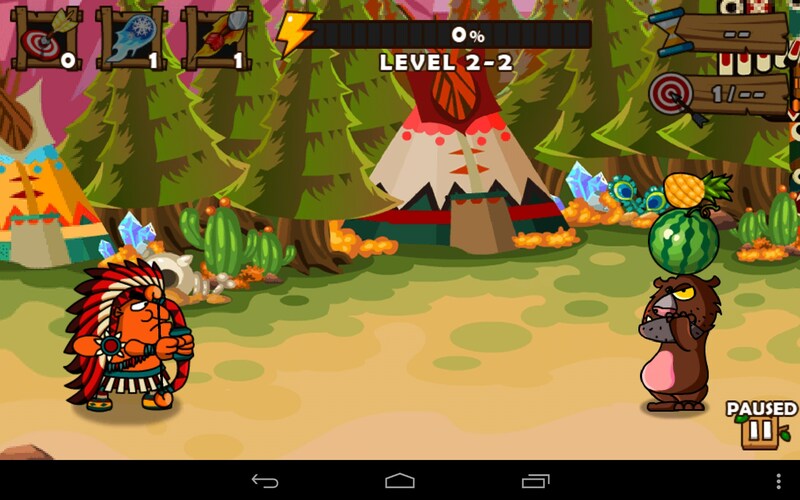 Fruit Shoot for Android is addictive and funny. 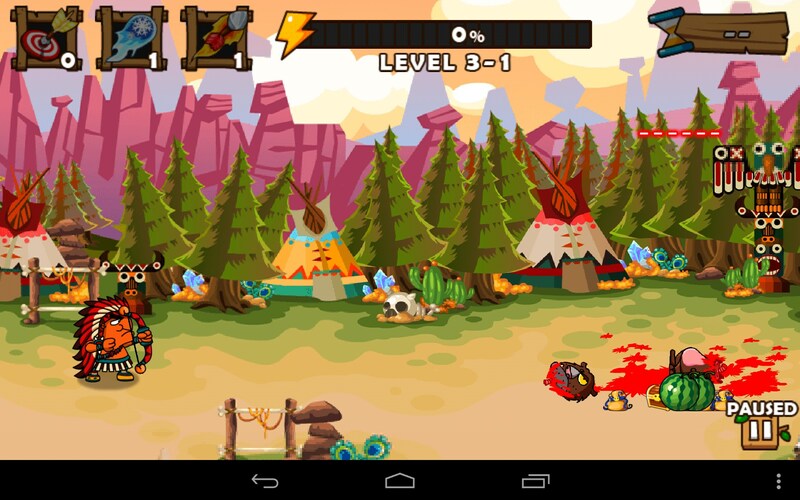 Shoot arrows and knock fruit off the top of a bear’s head; miss, and watch the blood spill. 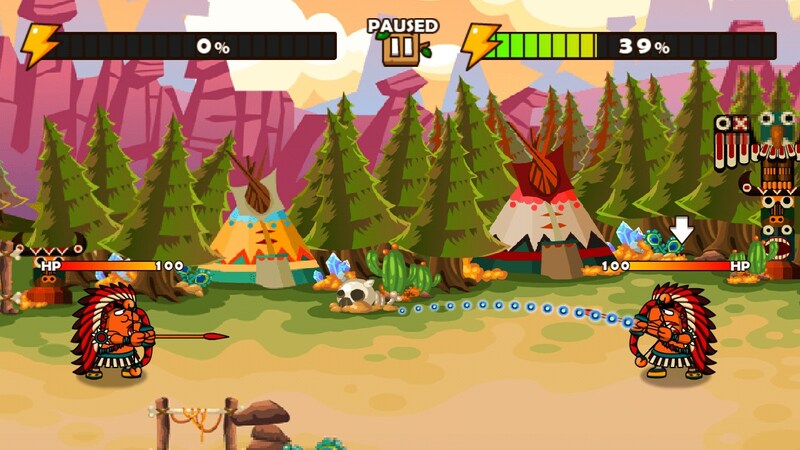 Fruit Shoot is just too silly, and perhaps even a tad racist in its depiction of Native Americans. However, it’s also a lot of fun. 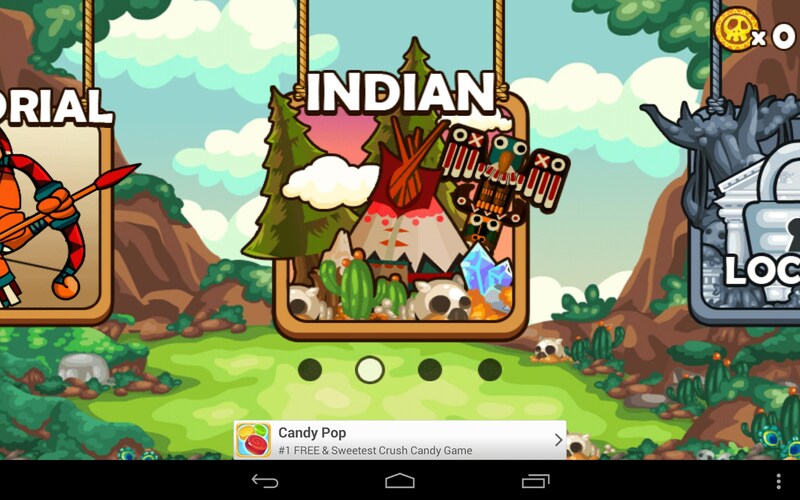 You are an Indian chief, complete with headdress and teepee. There’s a really weird looking bear who likes to balance fruit on his head and stand real still for you. So naturally, you do what any bear and Indian friend would do – you grab your bow and arrow and try to shoot the fruit off the bear’s head; makes total sense to me. And it’s also fun. The physics are really nicely done, and the controls are simple yet responsive. 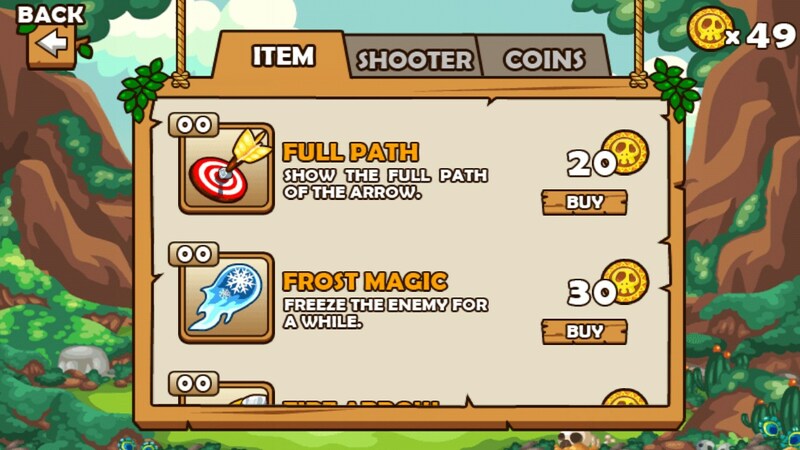 Just swipe your finger across the screen to draw your bow, then slide up or down to aim. 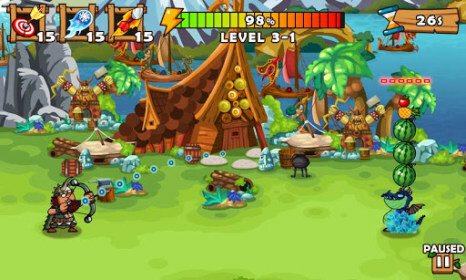 Release your finger to fire the arrow, and hopefully hit the fruit on the bear’s head. The temptation to just aim for the bear is great, so even if you’re a good shot, you might want to impale that bear with your arrow anyway, just to see what happens. Trust me, it’s funny. 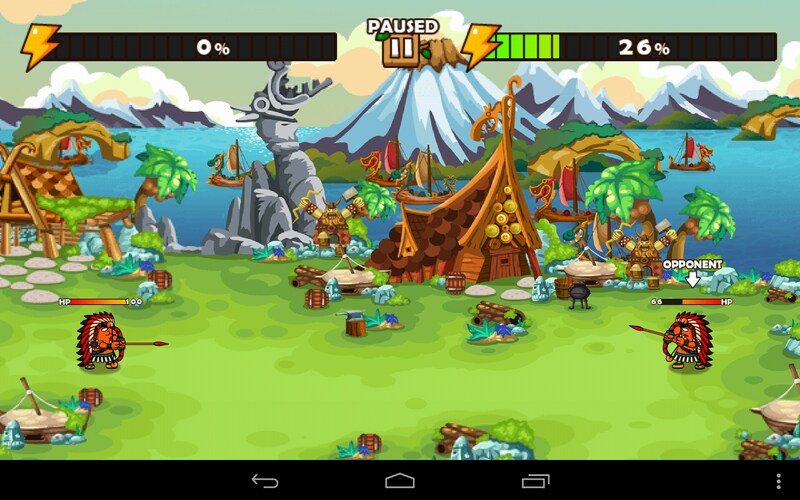 The graphics are decent and the animation is comical. It could have been better in that department, but then, they were going for playful, not realism; so in that regard it’s all good. The sounds are also comical. 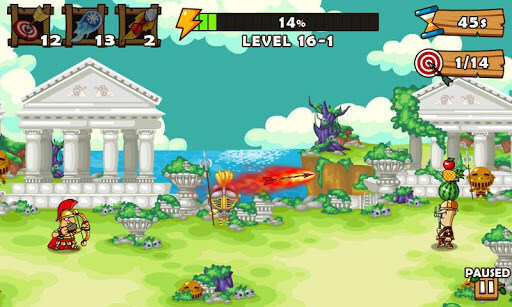 Fruit Shoot is surprisingly fun and addictive. I love the option to play against online opponents. The objective in that mode is to blatantly shoot arrows at your opponent and draw blood; what fun! Don't fall off the edge!